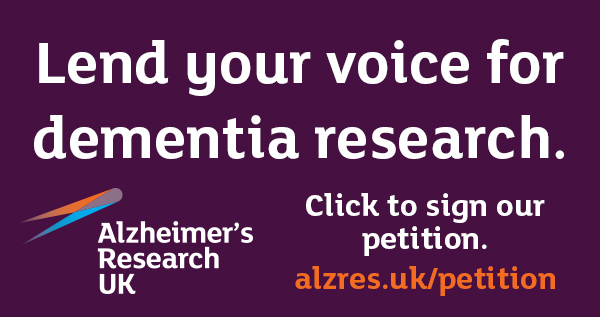 Does Alzheimer’s Research UK require paper copies of the application? Where should I post them? Yes. Although all applications are now made electronically, we also require paper copies of the application PDF. The number of copies depends on the type of grant that you are applying for. Once you have submitted your application you will receive an email which will include the number of copies required. This information is also available in the help texts on the grant application form. Double sided printing is preferred and copies must be stapled in the top left hand corner. The deadline for the paper copies is usually the Friday a week following the deadline for the electronic submission. I am looking for funding for a project that falls outside the new priority areas. Can I still apply? Yes, certainly. The aim is for 25% of the annual budget for new grants to be committed to these higher priority areas therefore 75% will still be spent on projects that fall outside these and within the other areas of interest. Why does my application PDF have a ‘Working copy’ watermark / a different reference? When an application is at an early stage, for example if the co-applicants and authorised signatory have not yet confirmed their role, then it will show a ‘Working copy’ watermark. When an application form is first opened it is assigned a pre-submission reference, e.g. 1445. Upon successful submission the number will change to a submission reference, e.g. Alzheimer’s Research UK-PG2014-1. Should I include inflation when I calculate my costs? Different institutions have different rules on how inflation should be calculated when costing grants. Please use the box provided on the application form to indicate the percentage used to calculate inflation for the non-salary costs. For non-salary costs, inflation can be included either in with the other salary lines (basic salary, national insurance etc. ), or separated into a separate line (inflation). Does Alzheimer’s Research UK honour national pay awards? Yes, up to a ceiling of 5% per annum. Please do not include predicted pay awards in the costing for the application. Do you give grants to support travel to conferences? No. Although moderate travel costs for conferences can be requested in our larger grant schemes (e.g. Fellowships) we do not give individual grants to support scientists travelling to conferences. Our Scientific Conference grant scheme is to support researchers who are hosting conferences or scientific meetings. Do you have any grants for students (e.g. Masters, PhD students)? We do not have any grant schemes to support undergraduate or Masters students. We have a PhD Scholarship scheme for students who wish to undertake a 3 year PhD. This scheme must be applied for by the prospective supervisor, not the prospective student. Can I apply for funding if I am not a UK resident? Yes, download our Eligibility Guidelines for further details. I have received an email asking me to log in as a co-applicant/authorised signatory/advisor, but once logged in cannot see the relevant grant? There could be a number of reasons for this. The most common is that you have a duplicate account and you have logged into the one that was not added. This occurs when people accidentally create duplicate accounts by logging in with two different email addresses, e.g. jsmith@uni.ac.uk and jsmith@university.ac.uk. If you think you might have a duplicate account please contact a member of our Research Team. Other reasons can include the lead applicant changing your role after your initial addition, the application being deleted, or following a link from an older email. If you are in any doubt please contact a member of the Research Team. Do you give feedback to unsuccessful applicants? Yes. Feedback is provided on request after funding decisions are announced. It is normally given in an email and is based on comments from our external reviewers and our Grant Review Board. My university requires that the Research Office must sign off grant applications. How does Alzheimer’s Research UK’s system accommodate this? We appreciate that all institutions have different approval procedures and Alzheimer’s Research UK now requires that an authorised signatory rather than the Head of Department approves the submission of the application. The authorised signatory could be someone from the Research or Finance Offices or the Head of Department and should be in line with your institution’s sign off procedure. The authorised signatory details do not appear on the application PDF, but are stored electronically. I am an applicant as well as the Head of Department who will be required to act as the authorised signatory. Do I have to approve my own application? Yes, please select yourself as the authorised signatory. Buttons to view, edit, submit and approve the application should appear on the very first page you reach when you access your application. What happens if one of my attachments doesn’t embed into the final PDF? In the first instance, please ensure that you have ticked the box on the application form for embedding documents if you wish them to embed. If your attachment is of a file type that cannot embed, it will still be attached electronically. The difference is that when you submit we will receive that document as a separate file, alongside the application PDF, rather than as a part of it. When you print, you will need to ensure that you print any non-embedded files and staple them to the back of the application as an appendix. Can I ask for funds to cover publication costs? Yes, but they must be clearly requested in the application. Grant holders cannot apply for further funds for publication once a grant has been awarded. Can I include costs for career development and transferable skills training on grant applications? No, we do not cover these costs. How can I update my CV on Grant Tracker? CVs are not edited from the application form but from the Manage My Details page. This can be accessed from the left hand menu when first logging in. The advantage to this system is that you only need to enter your CV details once, and they will automatically be pulled through to any grant on which you are a lead applicant or co-applicant. I am not sure which grants I am eligible for. Where can I find out? Do you pay indirect costs? As a charitable organisation we do not support indirect and overhead costs, however grants awarded by us are eligible under the Charity Research Support Fund. Find out more. Can I claim my salary as a PI or co-applicant? The PI cannot request salary on any of our grant schemes (other than fellowships), although not encouraged co-applicants can request proportions of their salary reflective of their estimated time involved and these should be justified in the application. However if co-applicants have tenure or fixed term contracts we would not expect to pay towards their salaries. Salaries of people to be fully employed on the grant such as post-docs or technicians can be requested.